The shift towards digital patient records could save the British taxpayer millions of dollars through efficiency gains, according to an article in ComputerWorld. The digitization of patient records has been mandatory in the NHS since 2000, and GPs nationwide are now creating electronic data for each of their patients. But within these same surgeries remain the old-style ‘Lloyd George’ patient medical records, which must still be stored and shared physically should a patient wish to change doctor. Lloyd George records were paper-based and stored in envelopes, making them an administrative burden for the health service. Under the present system, these records still need to be sent off to a processing center for redistribution to the patient’s new healthcare provider. This gives rise to the so-called ‘surgery next door’ anomaly – even where a patient is moving next door, the GP is still mandated to process the records in the same time-consuming, resource-intensive way. That means posting records to the central distribution point for sorting and diverting, all of which costs time and money. And in the UK, that’s the taxpayer picking up the tab. According to ComputerWorld and health informatics company St. Helens & Knowsley, a wholesale upgrade to a digitized exchange could completely remove the cost and bureaucracy associated with patient record transfer. “Any new patients going into practices, old patients leaving…all those changes are going on up and down the country. There’s a big service that just collects Lloyd Georges, takes them to a central process, stores them for a while, then redistributes them to where the patient is now registered. This happens hundreds of thousands of times a year,” said Neil Darvill of StHK. It is estimated that most GP practices hold around 5,000 patient records, which comes with a heavy administrative cost. A full-time clerk typically manages the records, and doctors must wait hours before certain records can be surfaced. With a fully digitized system, costs are saved, surgeries do not need as much space, and doctors can treat patients more efficiently. Healthcare providers are now increasingly working with Cerner consultants to develop and maintain electronic health records. They are already bringing efficiency savings in ground-level patient care, while the scope for error in transferring data electronically is much less significant. These digital records hold information on the patient and their medical history, including some diagnostics data. However, there are some concerns that have been expressed about the sophistication of the technology for future needs. 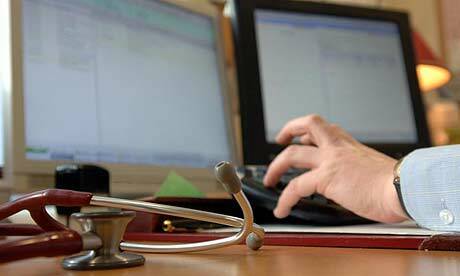 While some see the limitations in EHRs, they are not discarded as being inefficient. In fact, quite the opposite. Yet the system of Lloyd George records is still at the core of NHS data management, which some health IT analysts say is costing the Exchequer millions annually. While in practice the idea seems to have legs, it’s not without its problems for the NHS. For now, large-scale technology failures have been a little too close to home for decision makers to fully embrace EHR, but it won’t stay that way forever.